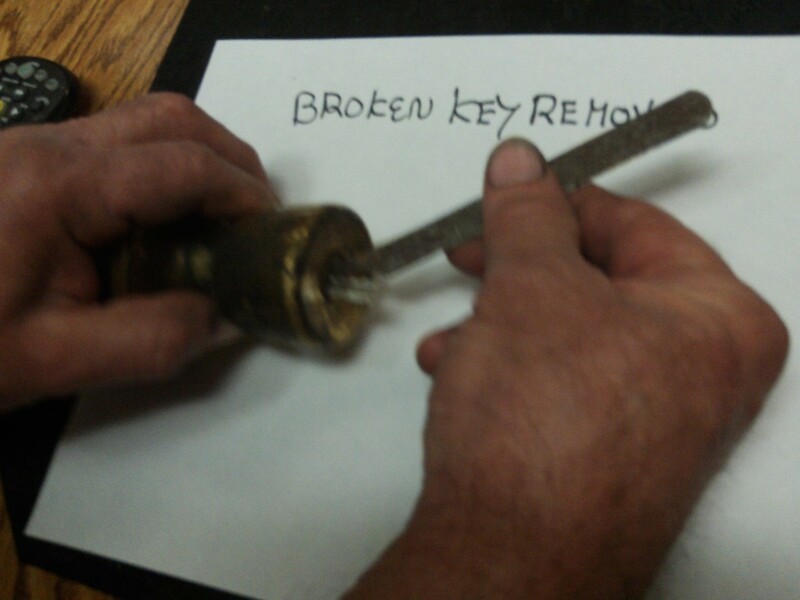 If you have broken a key off in a lock, you don't have to get rid of it. You can get the broken key out of the lock it is stuck in. This is a guide about how to remove a broken key from a lock. 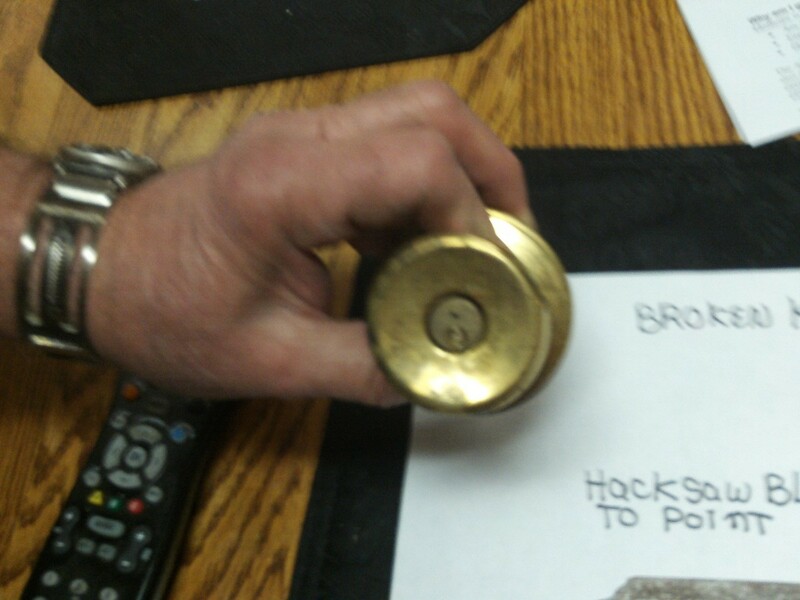 Here's a tip to save time and money to remove a broken key from a door knob or other lock, without having to call an expensive locksmith to do the job. Grind a hacksaw blade to angle shown in image. 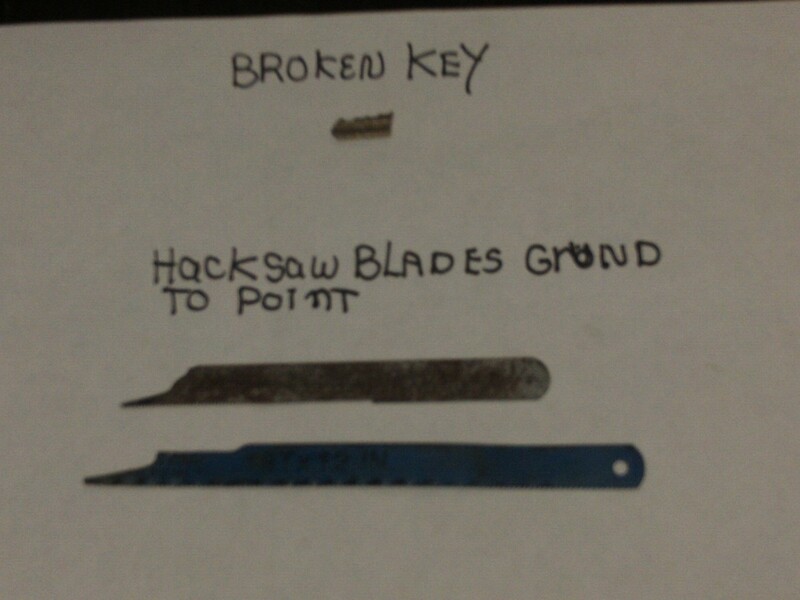 Insert hacksaw blade under or above key. Workout key with teeth of blade pulling outward until removed. 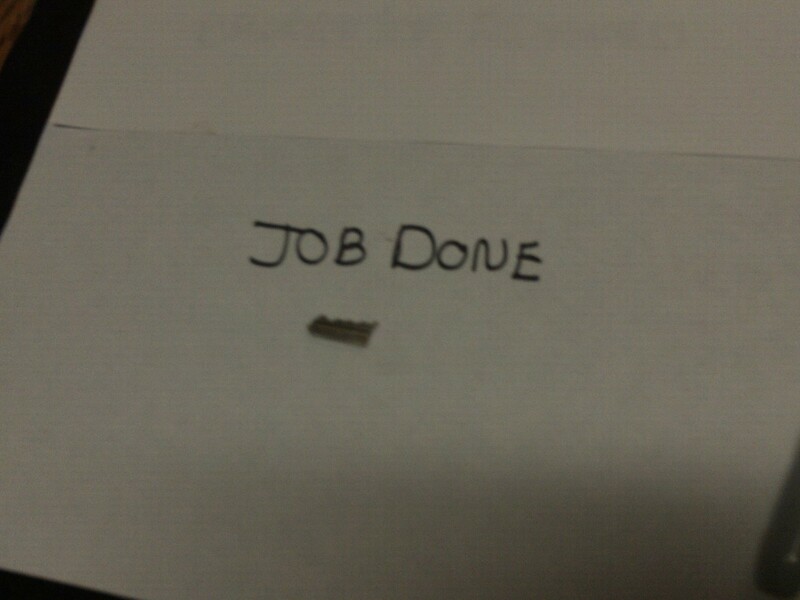 "Grind a hacksaw blade to angle shown in image." The picture that I got did not show the hacksaw blade. Thank you for letting us know. That picture should be showing now.